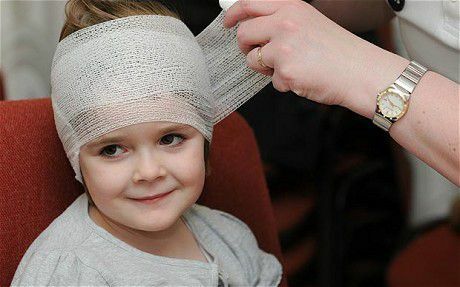 Much attention has been paid to the issue of children suffering from brain injuries as a result of physical abuse at the hands of parents and other caregivers over the years. Instances of shaken baby syndrome, neglect and other forms of child abuse have been directly linked to brain and head injuries in children, in addition to complications in brain development. Recent findings have indicated that even emotional abuse can cause complications in a child’s overall brain development. As part of a recent study, a brain specialist at UCLA analyzed the long-term effects of emotional abuse on brain development in young children. For the study, he researched the brain activity of two individual children, both two-year-olds who had grown up in much different home environments. The researchers selected one child that came from a loving home and positive influence from family members, while the other had been exposed to neglect and abuse. The doctors performed brain scans on both children, and found that the abused and neglected child had an underdeveloped brain in the areas that concern learning skills and functional development. According to the results of the study, the learning and functioning development issues that this particular child had suffered would impact his future, even as he reached adulthood. This just gives us some insight on the potential long-term effects that can be caused by abuse on a child’s brain, even if the abuse does not involve actual physical trauma. Eighty (80) percent of a child’s brain cells develop through the first two years of their lifetime, which means the early part of their child hood is the most fragile time for brain development and potential damage. And as we’ve found out, that also includes emotional trauma. 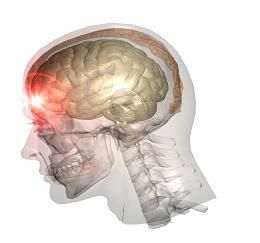 Additional research has been done on the topic of brain injuries as a result of emotional abuse in the past, though additional studies are needed to supplement the past findings. However, there is evidence to suggest that there are further reaching effects of emotional abuse in children. In Russia, one particular group of researchers studied a group of orphaned children who had suffered abuse and neglect at various points throughout their lifetimes. The results of the study showed that the neglect these children suffered led to actual changes in their DNA, so a physical alteration occurred as a result of the negative impact on the brain. A lot of additional research and exploration needs to be done in order for anyone to be able to directly link these factors together. But at this point, based on the limited data that has been revealed so far, it is evident that there is a connection between negative emotions and feelings and changes in brain development and even DNA structure. As a country, we have made serious improvements in how we view and react to child abuse, no matter what form it comes in. This is important because particularly with brain injuries and brain damage, early detection and treatment are the key to minimizing the long-term effects of the abuse. Many experts agree that transitioning a child from a negative environment into a positive, loving one can have positive effects and actually improve the child’s condition. Injuries to children? Contact Davis Law Group.